So I thought I’d take a moment to introduce myself and explain just what exactly an Online Bible Study is. I am a thirty-something mom of four. My husband, Tim, and I are raising our kids on our family farm in southwest Michigan. Aside from raising corn, beans and chickens, we are heavily involved in our church family. Tim is one of the pastors and together we lead our youth group. Our three boys are playing baseball this time of year and our daughter, Amy, gets to go along and watch. It’s a full life, but we are grateful for it. So what is an online Bible Study? Ya know, the cool thing is that you can kind of set your own rules, right? My plan is to post daily from June 1st-15th with thoughts, ideas, challenges or questions for you to chew on through the day. The two books I am recommending are All the King’s Orphans and All the King’s Orphans Study Guide. Both can be purchased here or on Amazon. Both are also short books and easy to read. 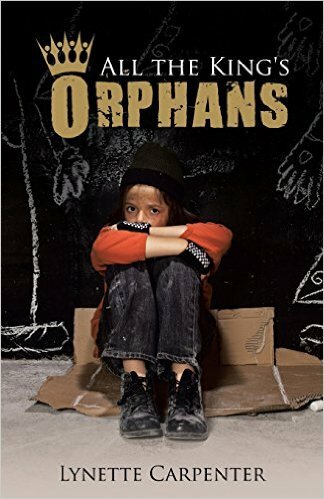 I used fictional stories to illustrate different aspects of the Orphan Spirit – you can actually read one sample chapter here. The bible study posts will be uploaded to my blog as well, so you can subscribe to that over on the right side of your screen (desktop). Once you do that, the posts will actually just come right to your email. Or, you can stay on Facebook with me and feel free to join in with your comments and insight. The posts on Facebook will be numbered so you can keep track which one comes first. In the meantime, be sure to get the books and feel free to start reading “All the King’s Orphans” now. We’ll go through the study guide together in June. Also, invite your friends to join! There’s a giveaway going on until May 20th – so don’t miss out on that. The info is the top post listed on the Facebook event page.